So, funny story. 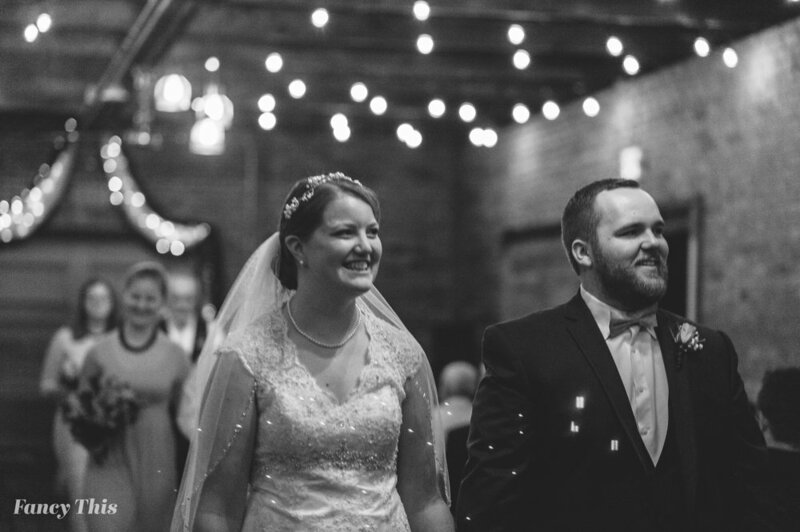 I didn't actually meet Kimberly and Andrew until the actual day of their wedding. I normally try not to do this, especially if my couples are local. Their original photographer fell and broke her ankle the night before and could not possibly photograph their wedding. Thankfully, I was available and met the sweetest bride and groom ever on their wedding day. After talking with Kimberly after she received her wedding images, I am totally taken aback by how much she and her husband adored them. This is what makes my heart sing and makes for one grateful photographer. 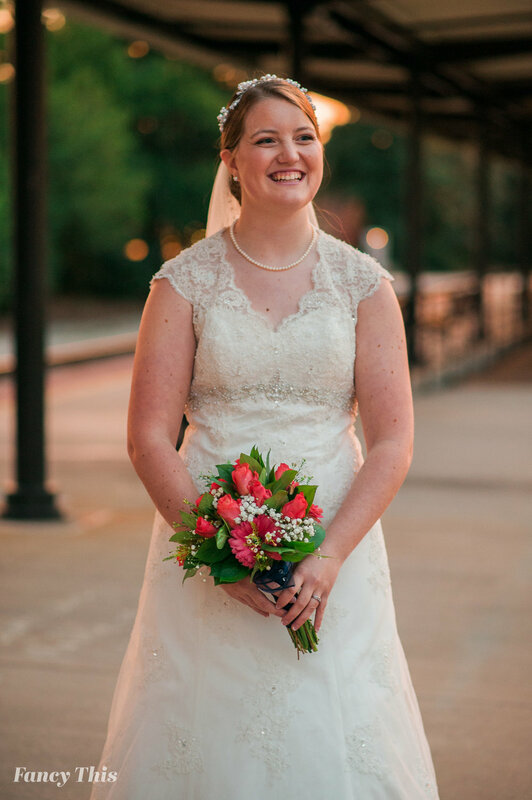 Kimberly and Andrew tied the knot at the beautiful 305 Trackside venue located in downtown Southern Pines. I have to admit, this was one of our first times in the area and I am pretty positive Jason and I fell in love with all things the area had to offer! 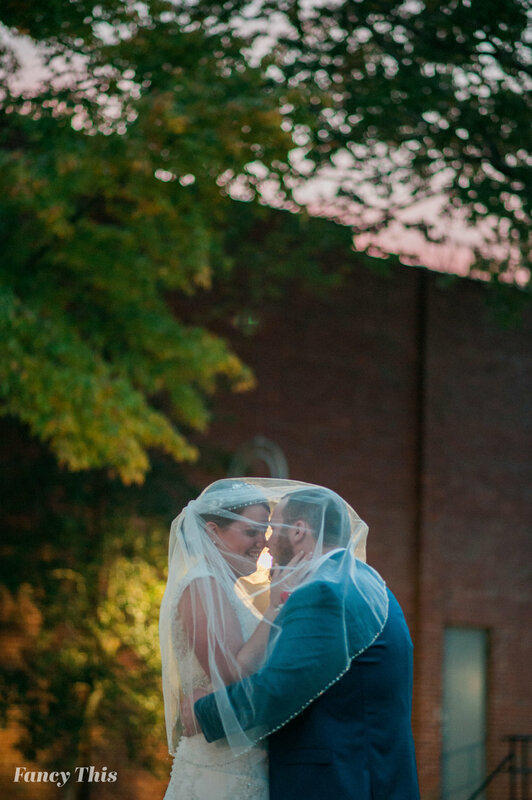 With the bustling downtown area with pockets of gorgeous art, the Sunrise Theater with it's old school flare, and such a pretty little train depot that sat right in the middle of the town square, the area was perfect and had all of the ingredients for a beautiful wedding night. The couple wanted to tie the knot later in the night. With a 7pm ceremony, it gave us some out of this world portrait time right before the festivities began. Can you say golden hour sunsets?! I was one happy wedding photographer! 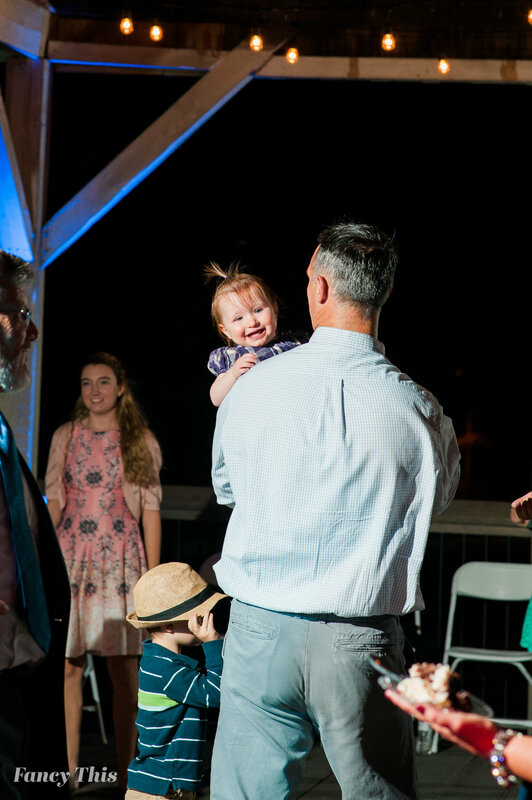 The ceremony itself, which was had inside 305 Trackside with its gorgeous wood decor and delicate light fixtures, was the perfect match for Kimberly and Andrews wedding. The decor that was set up to really make this venue unique to the couple matched so well, especially with the photos that were strategically placed around the venue. These are the little details that matter, and it shown so well to every single guest that celebrated with them. My favorite part of the night? The first dances. The dance with the bride and groom was so emotional and I honestly felt honored to even be a part of their day. 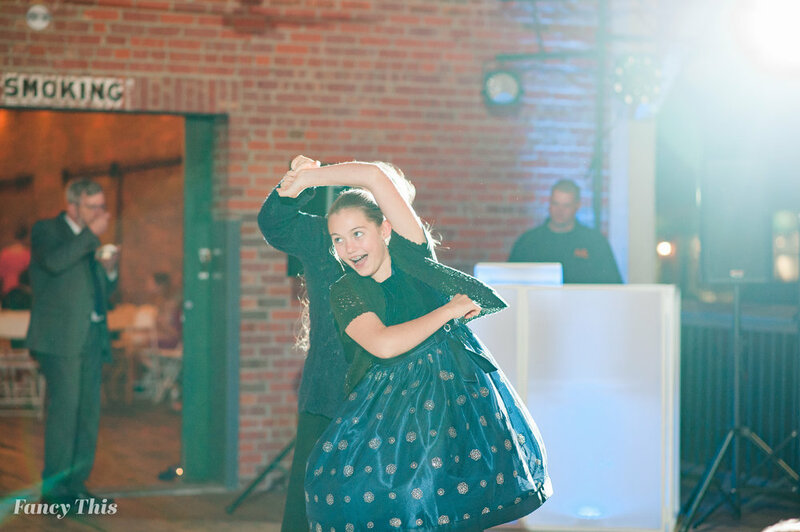 The father and daughter dance was especially sweet, and the mother and son dance pulled at my heart strings. What a fun and sweet wedding to be a part of! Love to all of you!